The last time that we saw David O. Russell’s work on screen was just two years ago in the incredibly acclaimed “The Fighter.” Russell had shown us the heartbreaking tale of a talented used to be who fell into the thralls of addiction while his younger brother struggled to become a prize fighter. This year, we are treated to a tale again of characters who are a little removed from the norm and plagued by their own uncontrollable conditions. 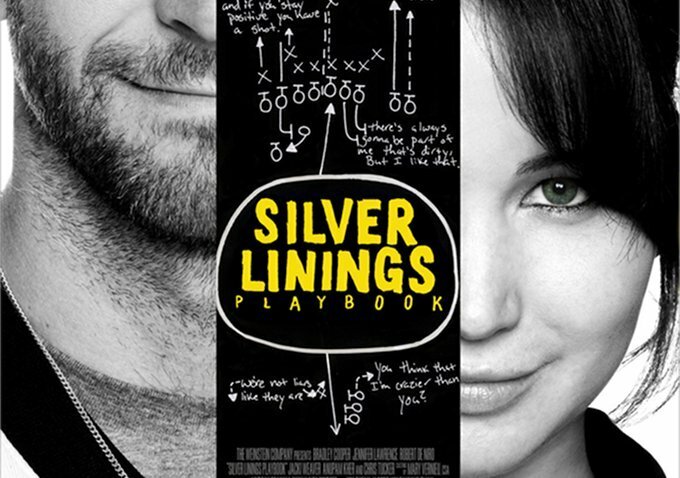 In “Silver Lining Playbook,” we are quickly introduced to our protagonist, Pat Solitano Jr., who on the surface seems to be anything but a believable protagonist. He is a character who is just now being released from an eight month stint at a mental institution which he had to serve in connection to a plea bargain after nearly beating a man to death. Hardly sounds like a character you want to love, but you immediately do, primarily due to an amazing performance by Bradley Cooper. Solitano, we soon learn, is a previously undiagnosed bipolar individual whose condition has made his life more complicated than we’d care to know. But this is not a movie about a crazed individual, but of a man with a big heart who struggles to take control of his condition and become a man who can love again. Trying to find the “Silver Lining” in all of the craziness that life throws at him, Pat uses this new mindset to battle his demons and try to achieve a sort of normalcy. His companion through this trek is found in a young woman named Tiffany, who has herself been through a traumatic experience that threw her into a deep depression, in addition to “socially unacceptable” behavior. Jennifer Lawrence becomes this character completely. She is a beautiful, unnerving, slightly maniacal, and slightly genius woman instantly forms a bond with Solitano, and the audience gets to see their friendship grow throughout the following two hours. I’ll refrain from going much further into the plot, but be prepared for some stressful situations, some heartwarming moments, some genuine laughter, sports, poverty, cops, dirty language, and dancing. This journey of theirs is accompanied by their family members and friends, and boy does Russell know how to direct. 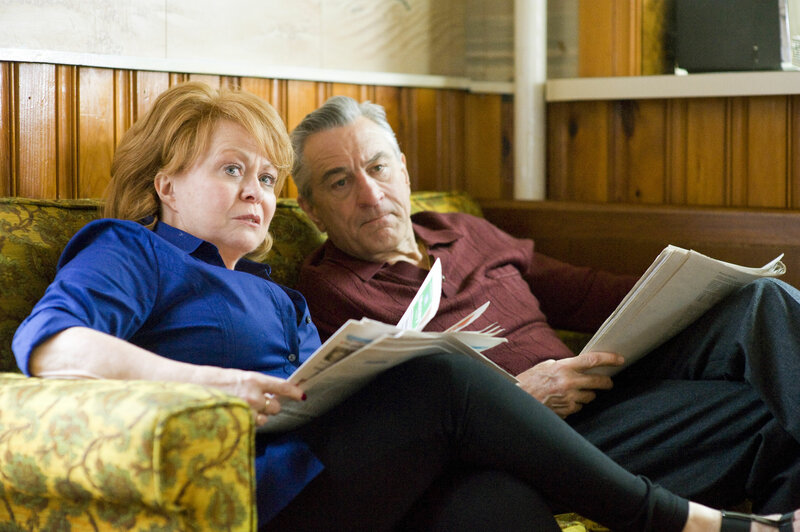 Robert De Niro plays Pat Solitano Sr., another somewhat troubled but kind individual who has a love for his son that is often overshadowed by his own persona. You can forget about every silly movie that De Niro has done since “Fockers” and be pleased to know that he is back in full force. To many young men in our 30’s, Robert De Niro will remind us of our own fathers. Strong but flawed figures, men that have love to give us, but need our love in return. Oh, and there is a very notable performance by Chris Tucker as Pat Jr.’s best friend from the mental institution who pops in sporadically throughout the film to drop little words of wisdom that can only be delivered by someone who skips to the beat of a slightly different drum. Tucker uses the same elements of his acting that have made him a comedic hit, but he adds such an innocent sweetness to his character that he is now a bona fide dramatic actor. Ultimately, this movie was a near perfect storm of talented individuals who broke out of their traditional roles to bring us a group of characters who do not fit within the confines of societal norm, but are each developing as people as they overcome their personal struggles to culminate in an unlikely display of human love for one another. Fernando’s Film Review: ‘American Hustle’!! This entry was posted on Friday, November 16th, 2012 at 12:40 am	and is filed under Film, News. You can follow any responses to this entry through the RSS 2.0 feed. You can skip to the end and leave a response. Pinging is currently not allowed.